Two of my favorite sequels of all time are The Dark Knight and Superman II. Both of them expand the heroes’ story and deepen the world they inhabit. A lot of the success of these films can be credited directly to their villains. Scarecrow and Falcone were cool villains, but let’s face it, they didn’t pose big challenges to Batman. Ra’s al Ghul was almost a match for Batman, but he was absent from so much of the film that his threat was diminished by the end. And I’m sorry, but the only reason Lex Luthor is a threat to Superman is because Superman is such a nice guy. Can you imagine Wolverine (or Batman, for that matter) putting up with Luthor’s silly tricks for even a minute? I don’t think so. Superman could literally kill Luthor with the flick of his pinky finger, but he’s always so restrained that he would never commit such an obviously evil act. Luthor knows that and exploits it. But when the Joker and General Zod enter the scene in the sequels, they push the heroes to the limit and evoke some intriguing parallels to Biblical stories. The very nature of good and evil, God and the devil, can be found in these films. Let’s dive in and find out how The Dark Knight and Superman II are the tale of two Satans! I’m going to talk about some things that aren’t mainstream Christian beliefs, so I’ll lay a little groundwork for the rest of this discussion. I believe that everyone in the world lived before they were born. We were all spirits back then and we didn’t have physical bodies like we do now. One day our Heavenly Father told us his plan to send us to earth to be tested away from his presence and see if we would be good or evil. Two people stepped forward with different ideas of how to bring this plan about. Jehovah said he would suffer for all the sins of the world to allow everyone to make mistakes and still have the ability to return to God and be perfected. Lucifer wanted to force everyone to choose the right so there would be neither sorrow nor happiness, and he would receive all the glory, not God. God chose Jehovah to bring his plan about, and most of his children took his side while one-third of his children chose Lucifer’s plan. Lucifer and his followers were banished from the presence of God and sent to earth. In the process, Lucifer became known as Satan. He and his followers will never be able to obtain physical bodies like we have, so they’ll never be able to progress or find joy. Their entire goal now is to make as many people as possible miserable and keep them from reaching their potential. Okay, that was some pretty heavy stuff. It’s not my intention to preach; I just want to make sure my perspective is clear as we talk about The Dark Knight and Superman II. General Zod represents Lucifer before he was cast out of heaven, and the Joker represents Satan after he was cast out of heaven. Zod wants to establish order on his terms and to have everyone kneel down to him in worship. The Joker wants to destroy other people’s plans and show how terrible they are inside. You can see their two completely different approaches in how they seize control. General Zod doesn’t bother negotiating; he’s always giving commands and demanding people obey his every whim. A particularly telling scene is when he flies over Mount Rushmore. Instead of destroying it, he remakes it in his own image. That totally defines his character. He takes what other people have spent so much time to create and he makes sure it points to him as the one in charge. The Joker, on the other hand, weasels his way into power little by little. First, he steals millions of dollars from Gotham City’s most powerful mob bosses and then he convinces them they desperately need his help. He terrorizes the city and grabs power from the mafia until he declares that they and their men belong to him now. And by that point it’s too late to stop him. He doesn’t really want power or money. He just wants enough of them to allow him to continue causing as much damage as possible. 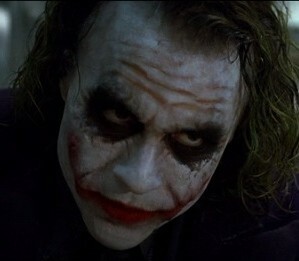 From the very beginning of The Dark Knight, we see how much the Joker emulates Satan. He sets up a bank robbery so that he will get everything he wants at the expense of his henchmen. He tells each one he will pay them extra if they kill each other. In the end, though, the Joker is the last man standing with all the money. 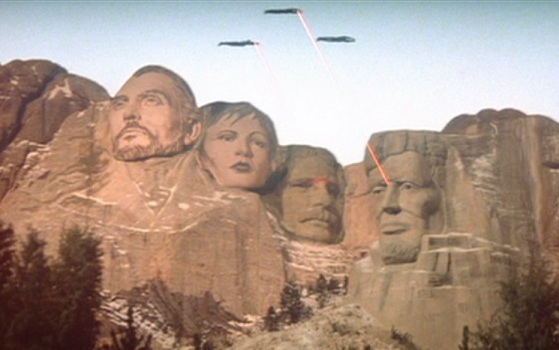 At the start of Superman II, Zod and his followers (Ursa and Non) are caught and put into a prison called the Phantom Zone by Jor-El, Superman’s father. They float through space for years until Superman inadvertently frees them with a nuclear blast. Then they go on a killing spree and quickly take over the world. In The Dark Knight, the Joker also gets thrown into prison, but in that film it was part of his design, and when the time is right he breaks himself out with his own explosion. He goes on to grip Gotham City in even more terror. These events could be a metaphor for two things. After Lucifer was sent to earth, he had a lot of freedom to wreak havoc on its inhabitants. Another interpretation is that the breakout is similar to after the Second Coming of Christ. The Book of Revelation says Satan will be bound for a millennium and then be loosed for a little season before the final judgment. So either this prison break represents the start of our troubles or the end. In a couple of films that have such powerful satanic figures, you should expect there to be a strong counterbalance of goodness. And there is no shortage of Christ-types in these films. Superman is the classic comic book Christ-type. He’s the son of a God-like being, and he’s sent to earth to save people. Who else could that be? 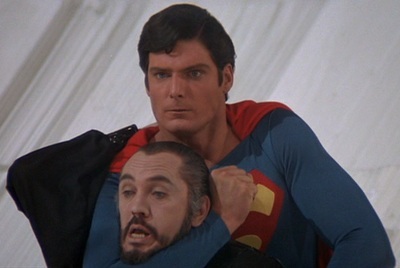 However, in Superman II Superman gives up his powers and, in a sense, part of him dies. But a short time later his powers are restored so he can defeat General Zod. Batman never has an analogous death and resurrection in The Dark Knight. But the interesting thing is that Commissioner Jim Gordon does. Seriously. Gordon “dies” while protecting the mayor from the Joker’s gunshot and is then “resurrected” just in time to defeat the Joker after an epic chase scene. Of course, Batman is a Christ-type in other ways. He stands firm against the Joker’s constant attacks, and he does his best to save people from dying. But more than being like Jesus Christ, Batman plays an even grander role in the film – that of God himself. The Book of Job can either be read as a depressing story about a man who lost everything and spent a long time being miserable before finally having everything restored to him, or it can be seen as a hopeful story of a man keeping his faith despite it all. His story is played out in interesting ways in Superman II and The Dark Knight. Superman is like Job. His life seems so easy. He never feels pain and he can have anything he wants. So how would he react to being stripped of his amazing powers and being just a normal man who can be hurt and bullied like anyone else? It’s a shock to him, to say the least. But even though he’s humiliated by a stronger man and he suffers pains, hunger and thirst, he manages to persevere and eventually regain his powers. 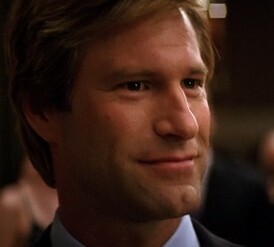 Harvey Dent is a tragic version of Job. He has the best intentions to clean up Gotham City, and he seems to have a spotless record. But the Joker senses weakness in him, so he systematically steals everything he cares about: his girlfriend, his handsome features and his self-respect. Left with nothing, Harvey Dent cracks and becomes a villain named Two-Face. The Dark Knight could actually be seen as Harvey’s story. Batman and the Joker are like God and Satan, respectively, fighting over the soul of this man. But unlike Job, Harvey can’t stand to lose all he holds dear and he rebels against what he knows to be right. Satan knows he isn’t powerful enough to defeat God, but he can do his best to bring down God’s fallible children – you and me. Similarly, the Joker knows he doesn’t really stand a chance in a fistfight with Batman. Batman is the ultimate warrior, so the Joker has to resort to using tricks and dogs to temporarily keep Batman from winning the day. He can’t even tempt Batman or get him to break his core principles. But he can do irreparable damage to Gotham City citizens by tempting them to kill each other senselessly and by destroying their hero Harvey Dent. Luckily, none of his plans come to fruition. The citizens and convicts decide not to blow each other up, and Batman takes the blame for all of Harvey’s misdeeds. This actually makes Batman a bit of a Christ-type. He assumes responsibility for Harvey’s crimes in order to keep people from losing hope. That’s like how Christ took upon himself the sins of the world so people can return to God. As an aside, it’s so strange to me how many people are turning against God and becoming atheists. In the past few generations it has become acceptable to question the very existence of God and to heap criticisms on him and those who believe in him. Satan is always tempting people to make poor choices, and that often results in suffering and destruction. But that doesn’t mean we should blame God for all the bad things that happen. We should ascribe blame to the author of evil and the perpetrators of crimes – not God. The way the heroes in these two films deal with their nemeses is similar to the symbolic imagery used in the Bible. In the Book of Genesis, Satan is told that the Son of God would one day crush his head, which means he would be left completely powerless to hurt anyone. In Superman II, Superman saps General Zod’s powers and then literally crushes his hand to show that Zod is no longer a match for his super strength. In The Dark Knight, Batman shoots several blades into the Joker’s face and almost kills him by throwing him off a building head first. He would have been crushed if Batman didn’t save him at the last second. As I said before, Satan knows there is no chance he can actually win the fight against God. But look at all the damage and suffering he has been able to cause throughout history. One day he will be brought to justice for his crimes and be prevented from causing any more destruction. It’s intriguing how many religious ideas we can find in movies inspired by comic books. Right there in front of us are the stories of Jesus Christ’s resurrection, Lucifer’s fall, Job’s suffering and more if we look hard enough. Superman represents the Son of God while Batman often represents the ideal man or sometimes God himself. These larger-than-life heroes need villains who are just as powerful to stand in contrast, and General Zod and the Joker fit that bill perfectly. They represent the two different sides of Satan: his initial desire for perfect order and his subsequent eagerness for chaos and misery. Both of them are ugly. Luckily, the good guys always triumph in the end. All photos from The Dark Knight and Superman II are the copyright of Warner Bros. Pictures. 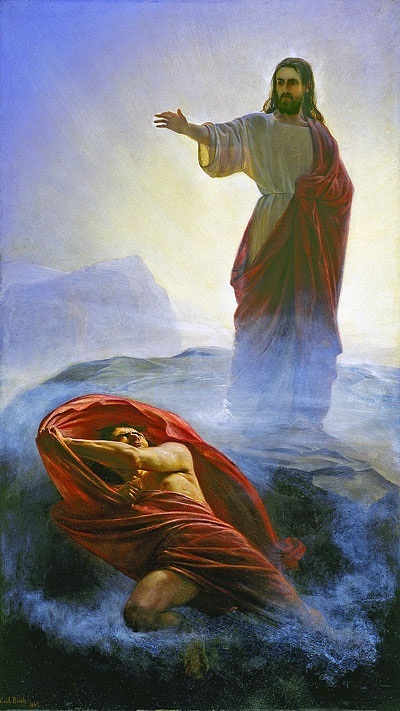 The painting of Jesus and Satan is the copyright of its artist Carl Heinrich Bloch. This entry was posted in Random Stuff and tagged batman, batman begins, christ-type, comic books, devil, drama, evil, films, general zod, God, harvey dent, jesus christ, joker, lucifer, movie review, movies, religion, romance, satan, science fiction, spiritual, superman, the dark knight, villains. Bookmark the permalink. I am not sure about Superman really being a Christ type, Christ was about saving your soul, Superman is more about saving you from mortal danger. Superman was created by Jews, he is more the Jewish vision of God. His Kryptonian name Kal-el is the Hebrew word for light. Zod is a bad guy, but as far as evil he is not Satan, he comes from another world, he sees humans the way European explorers saw Natives in Africa and pre-colonial America, mostly as primitive savages. Superman lived as a human among the human, he gradually realized his not a human, and has powers and abilities that far above an average human, he is practically immortal. The newer Zod is a mean character, but honestly I did not see him as the devil, I saw him more like a right wing conservative, or an angry father, he even scolds Superman like a step son telling him “If you destroy the ship, you destroy Krypton” and Superman stops for a second to think about the ramifications of his actions. Now if you are talking about Batman versus Bane, now you have something, Batman really represents Christ, and Bane is the devil. Batman sacrifices himself to save the people of Gotham in the film, Bane just wants to kill and destroy. Bane is pure evil, so evil that even Ras Al Ghul expelled him from the League of Shadows before he died. Remember the part where Bane says he did not want to kill his body, but his soul, now that is truly evil, and a very clear reference to the devil, and he puts Bruce into a pit.